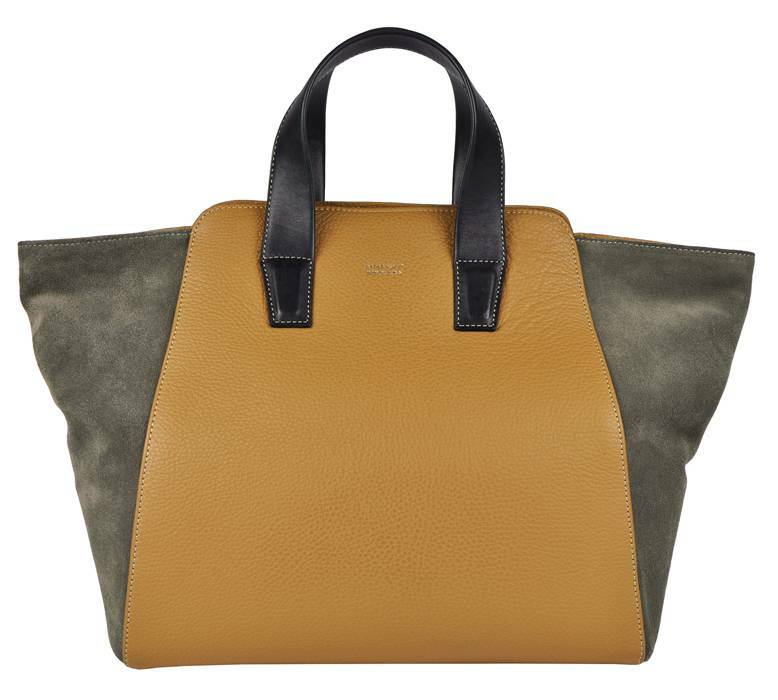 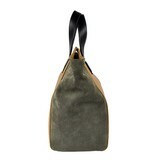 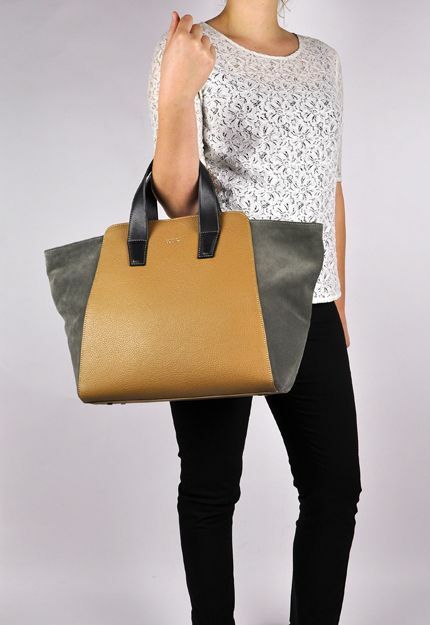 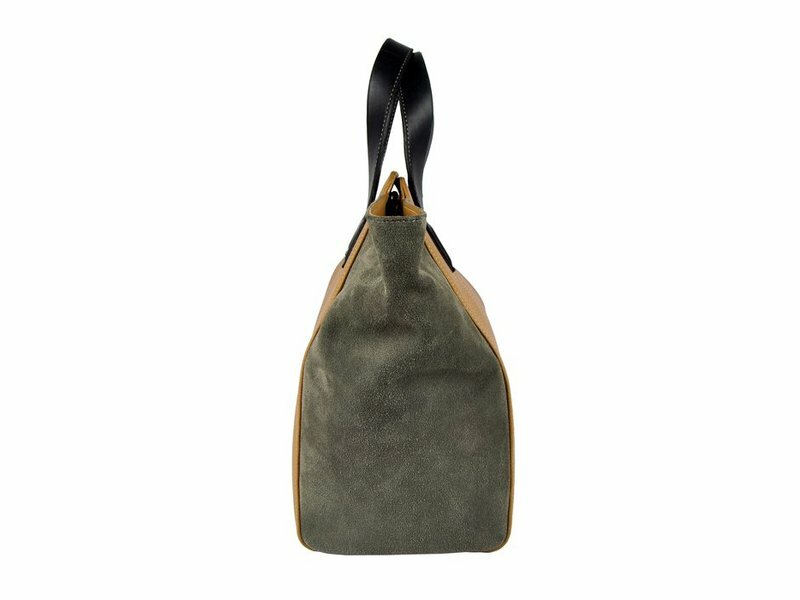 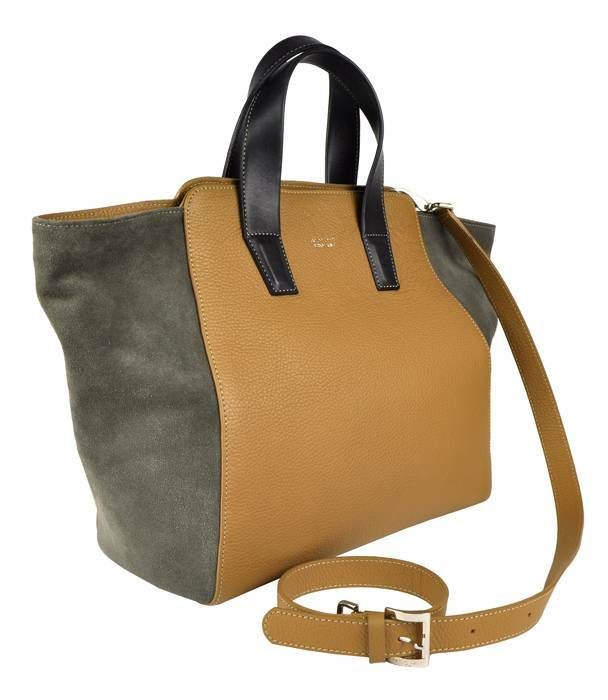 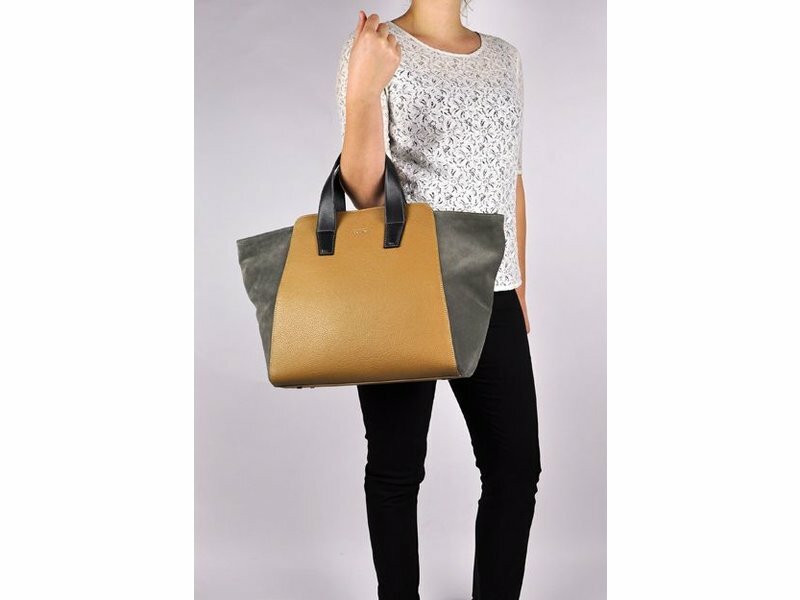 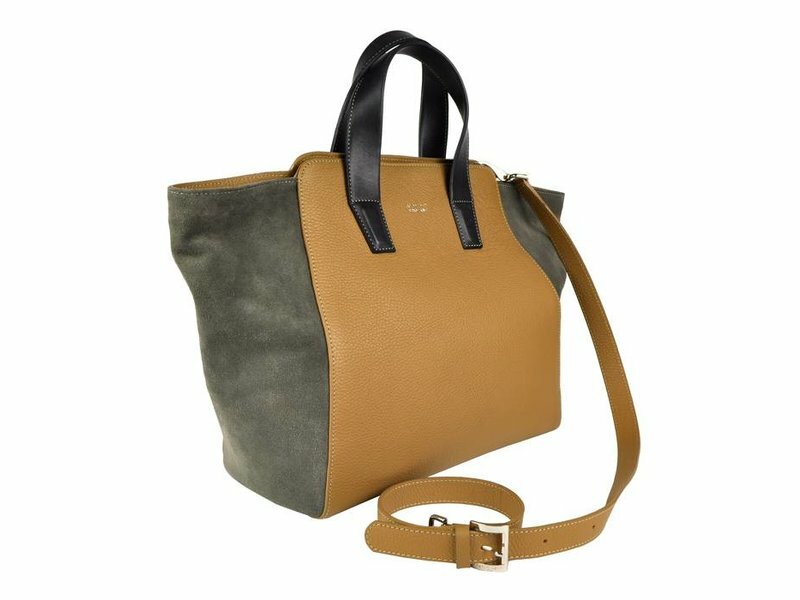 This beautiful, special bag is made of supple and firm grained leather combined with suede. 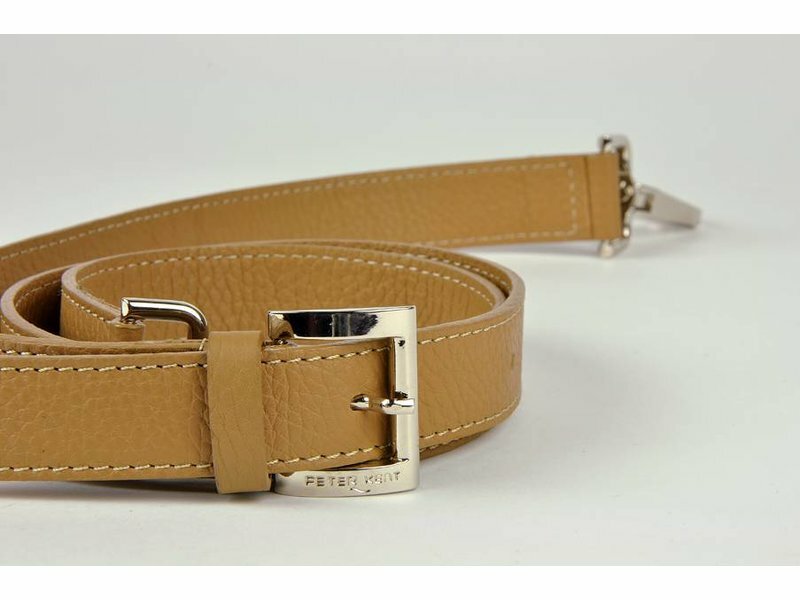 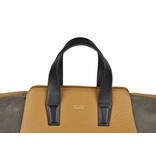 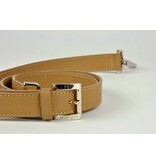 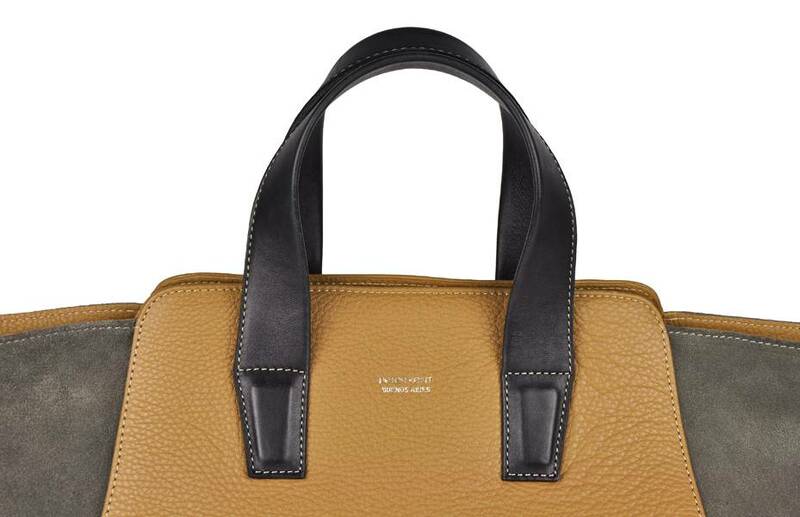 The handles are of nappa leather and feel soft. 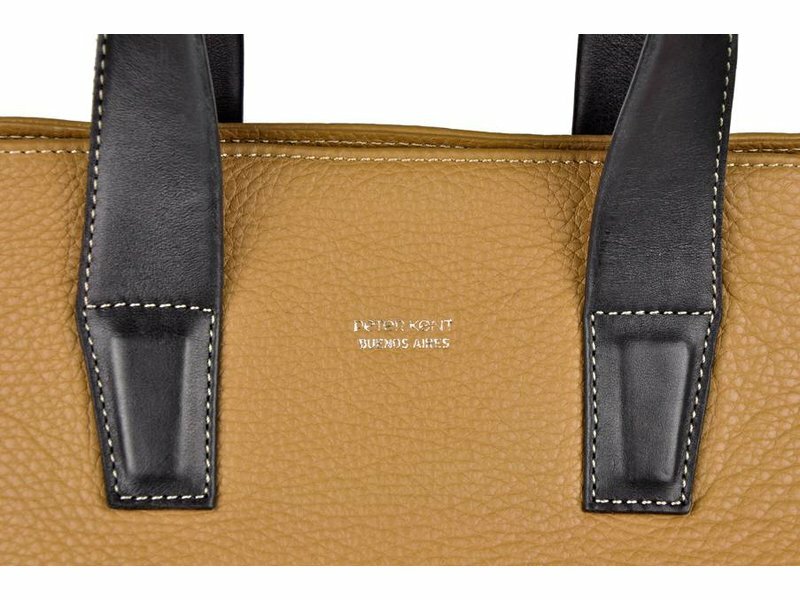 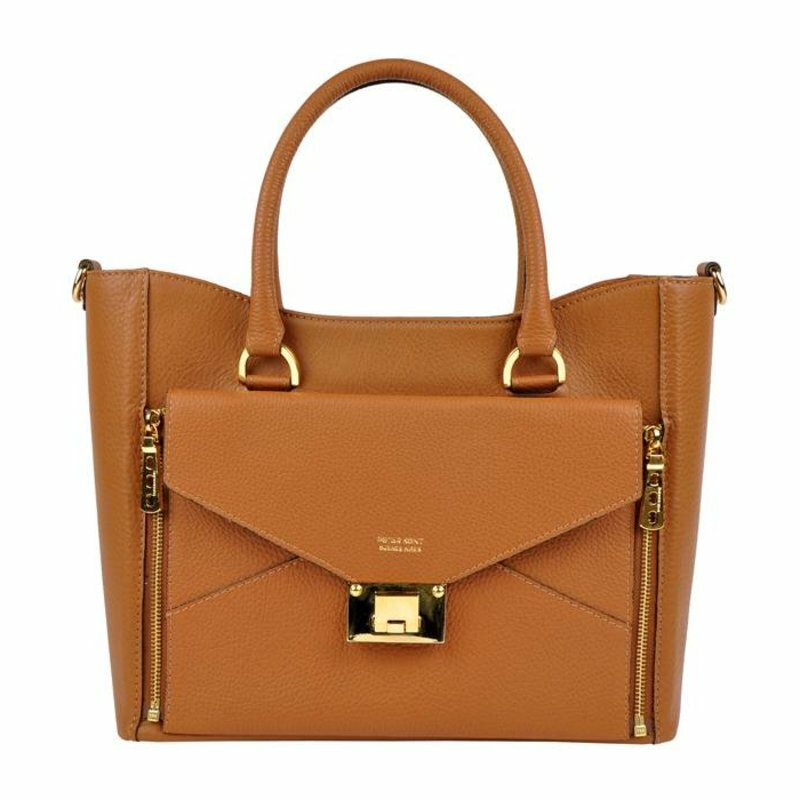 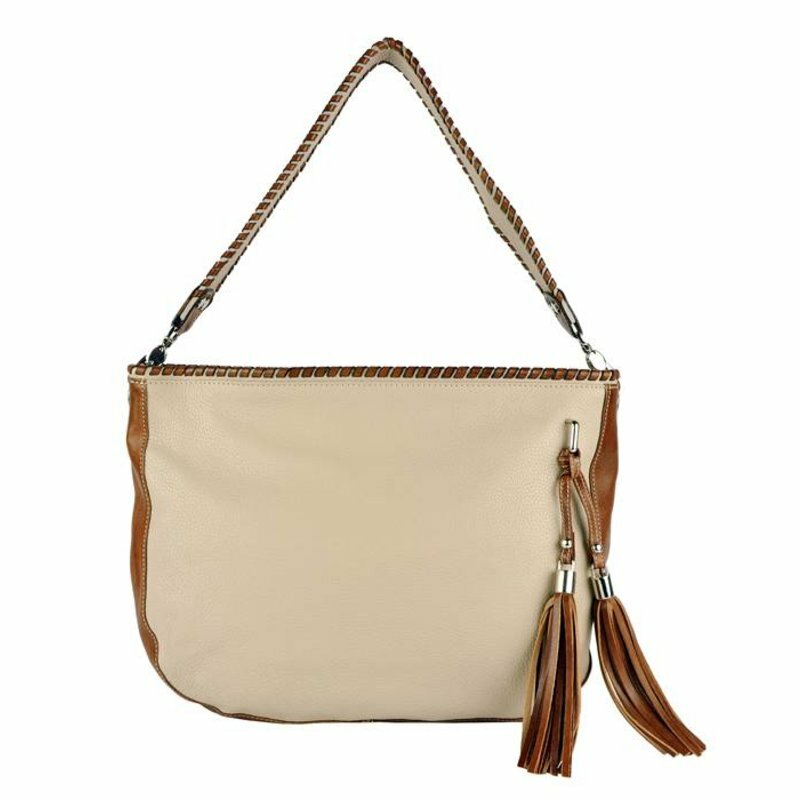 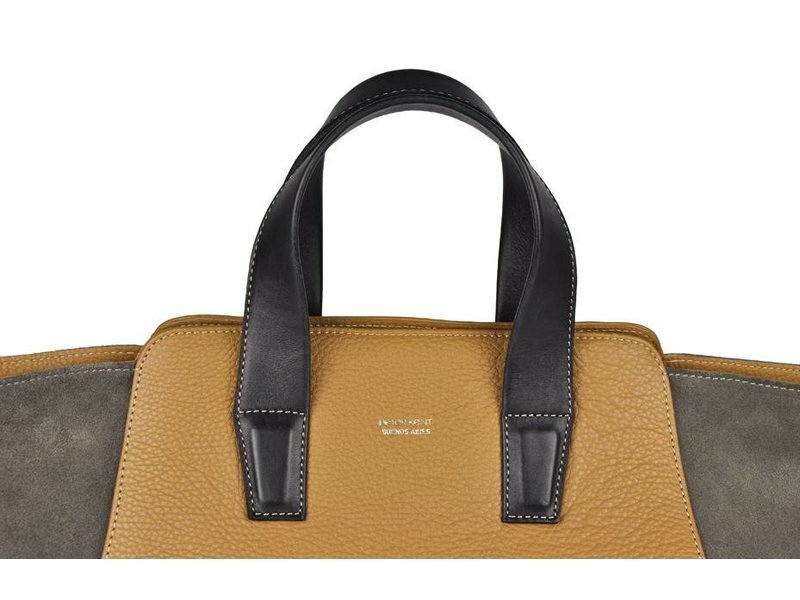 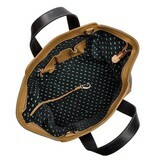 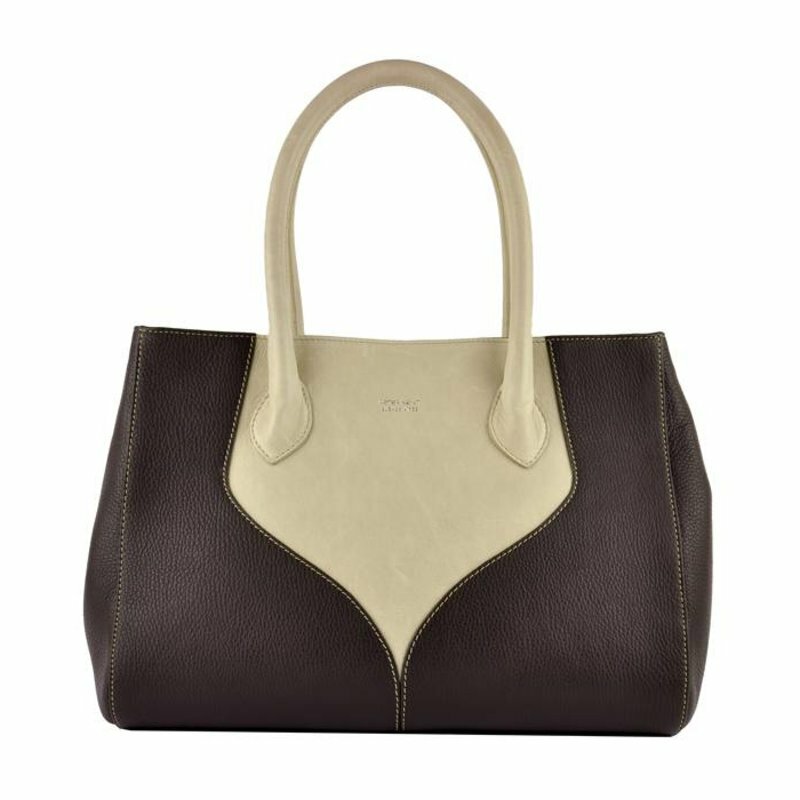 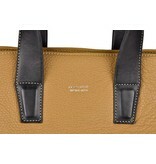 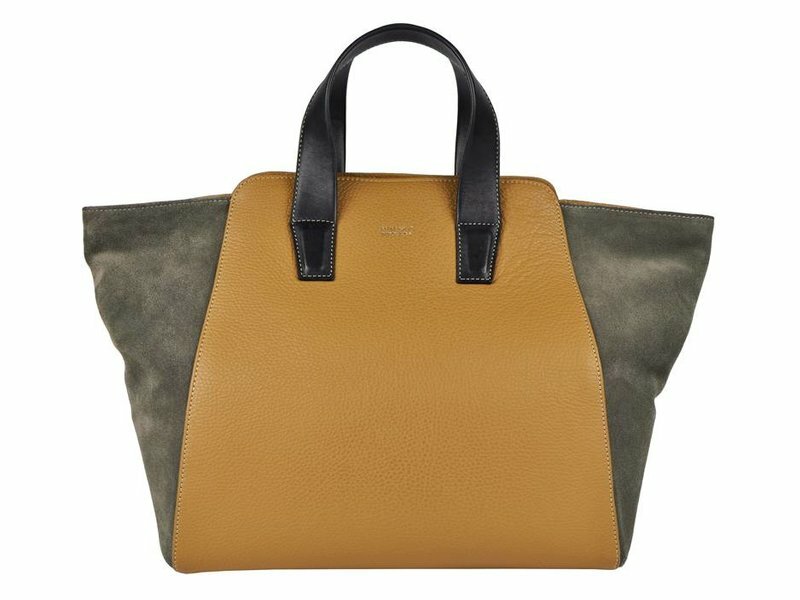 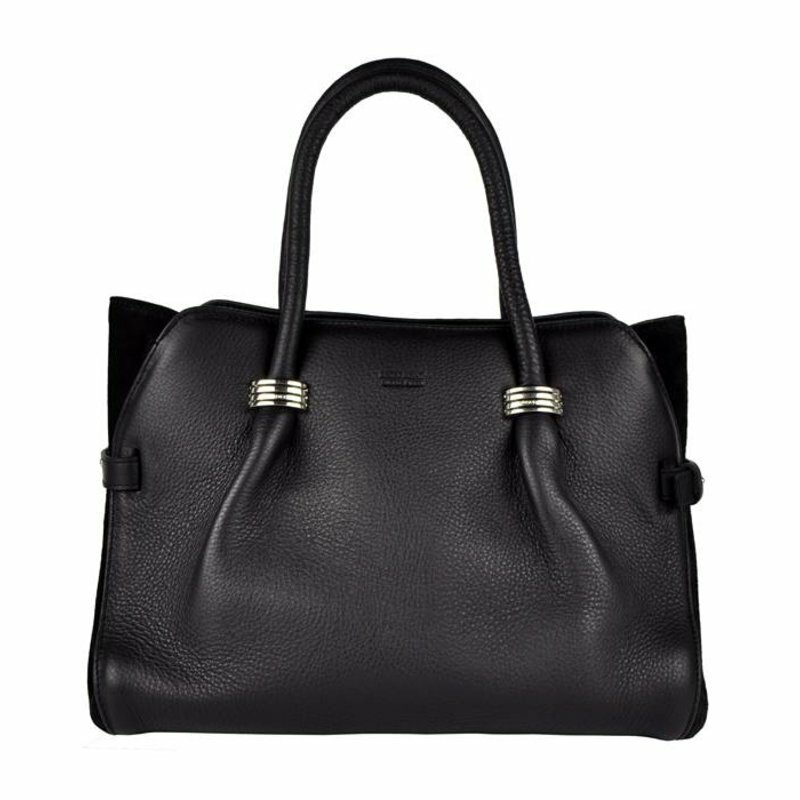 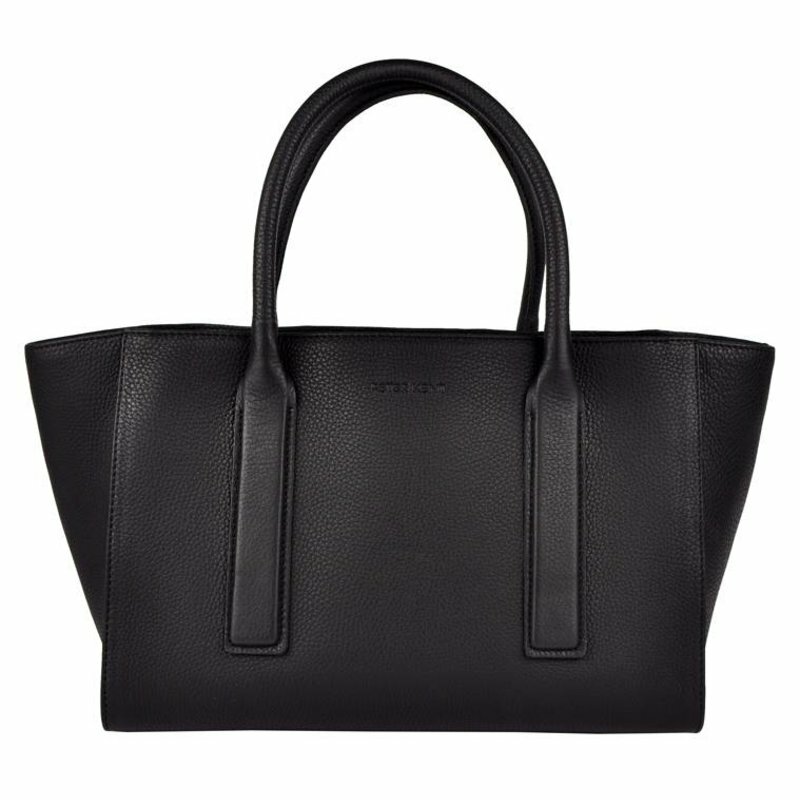 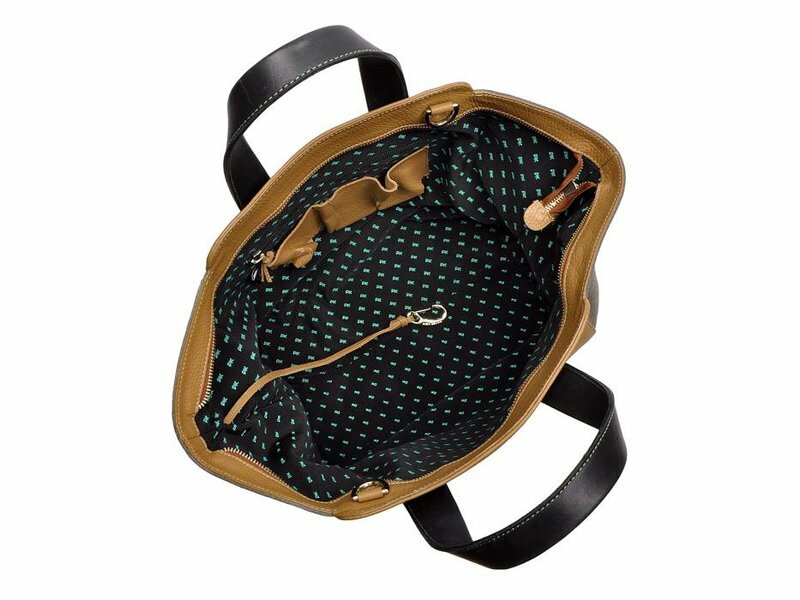 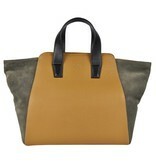 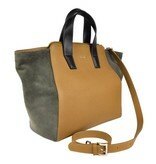 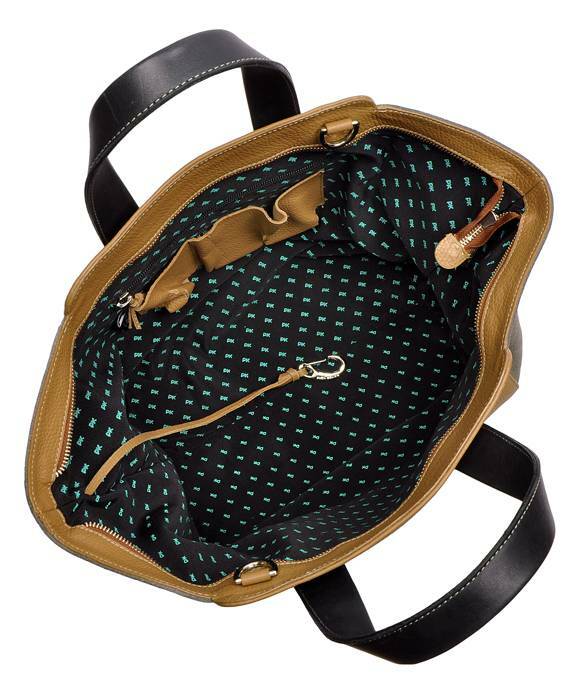 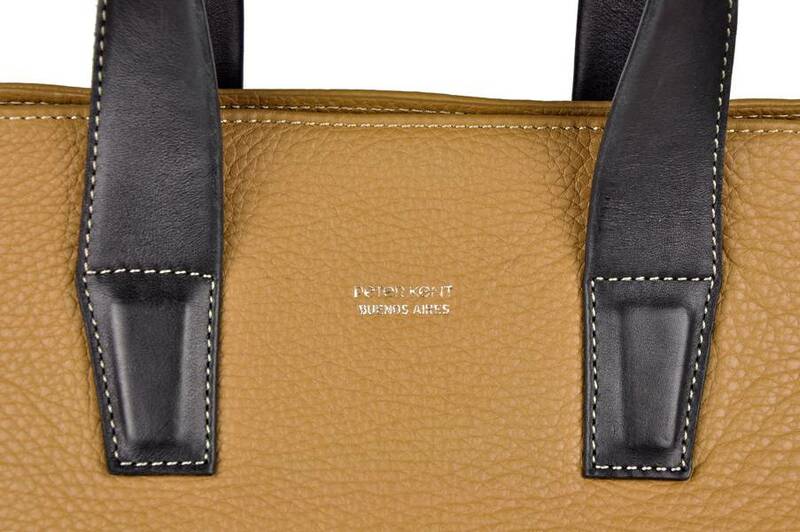 This model has a zip fastening and a long, removable shoulder strap, so this handbag can also be used as a shoulder bag. 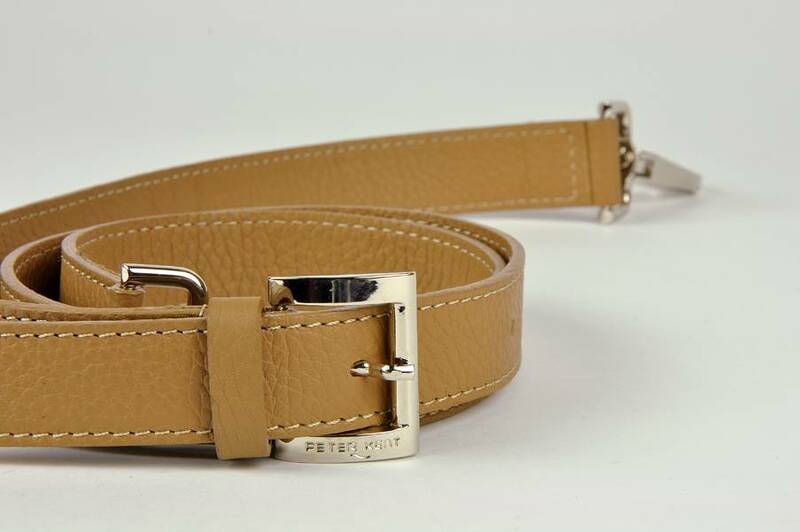 It has a leather keycord.